Announcing two weekends coming up when the Studio will be closed! We’re going to a trade show in Portland at the end of January, and as a consequence we will be closed January 31, February 1, 2, and 3. We are back to normal hours starting the week of February 4. 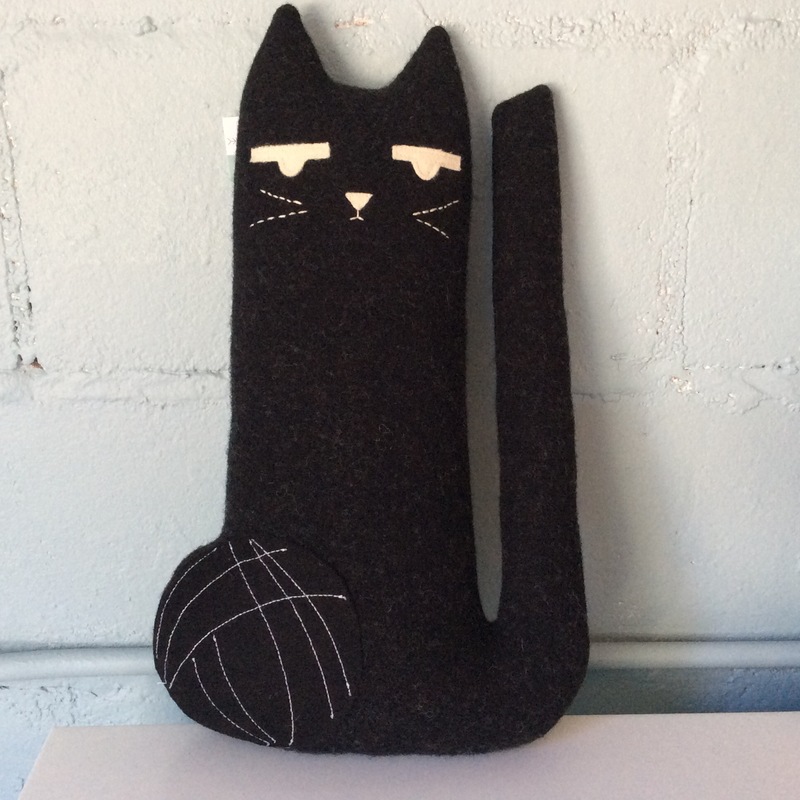 Then we will be closed February 14 through 17 for the Madrona Fiber Arts Festival. Both of these events take all of our attention, energy, and focus to achieve, so we hope you understand and can bear with us. 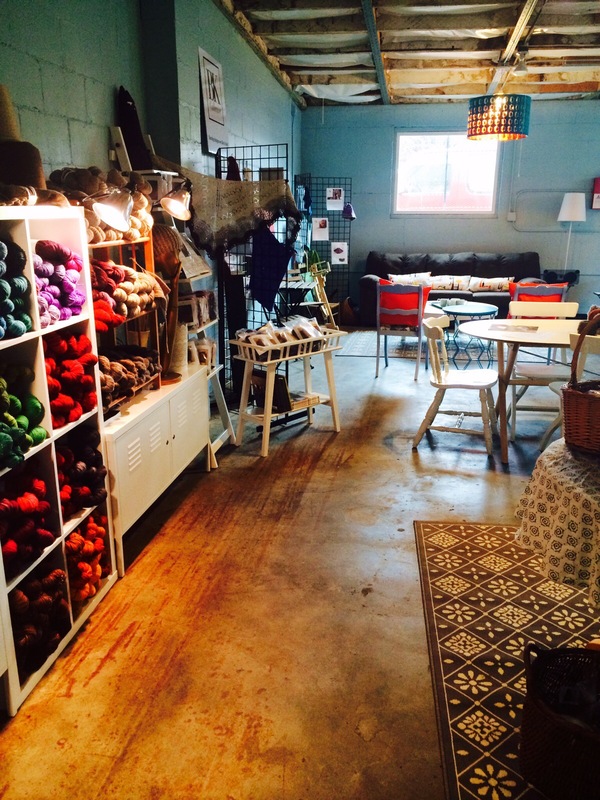 We will miss our regular drop-in knitter friends and customers, and ask for your understanding and support. We look forward to meeting new friends and having time with returning friends as we attend our two big events in Portland and Tacoma. To make it easier to get to know us we thought it would be fun to post about our crew, who we are and what we do. Jorstad is a labor of love, but for now our folks are all part-time and hoping 2019 will bring us the ability to make it our full-time occupations! Here I am, Kerry Graber, originator of Jorstad Creek! 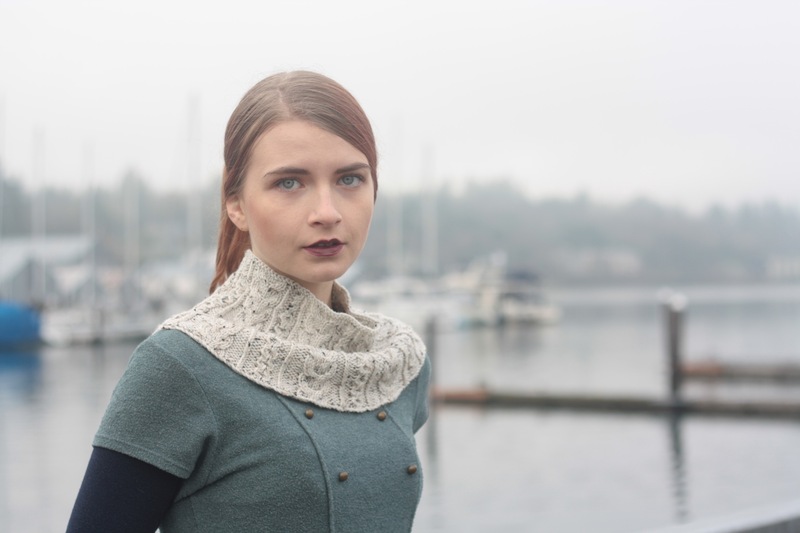 I started my knitting journey at age 4, learned about wool, spinning, and dyeing in my twenties, and in 2010 founded Jorstad Creek, a local and hand-dyed yarn company. 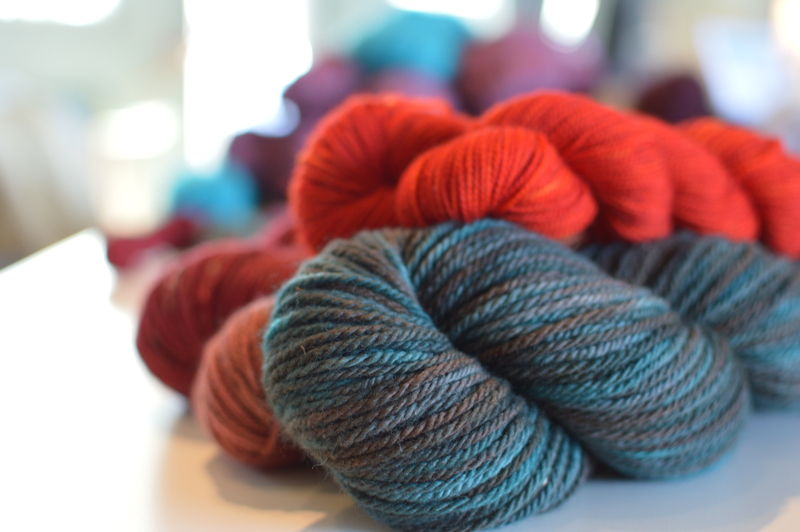 My first experiences sharing locally sourced and hand dyed yarn was at the Nordic Knitting Conference and the Madrona Fiber Arts Festival. 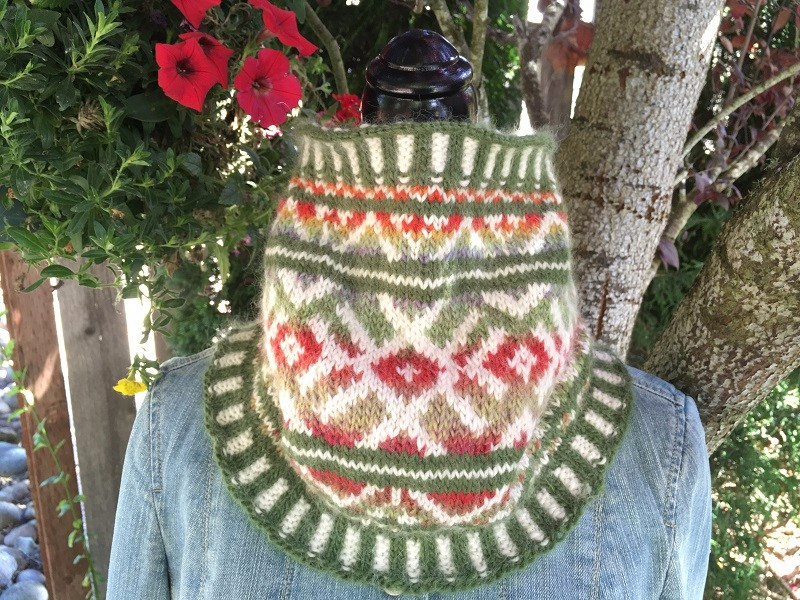 Knitters loved the yarns, and I am so grateful for the support! The positive feedback encouraged me to keep going. 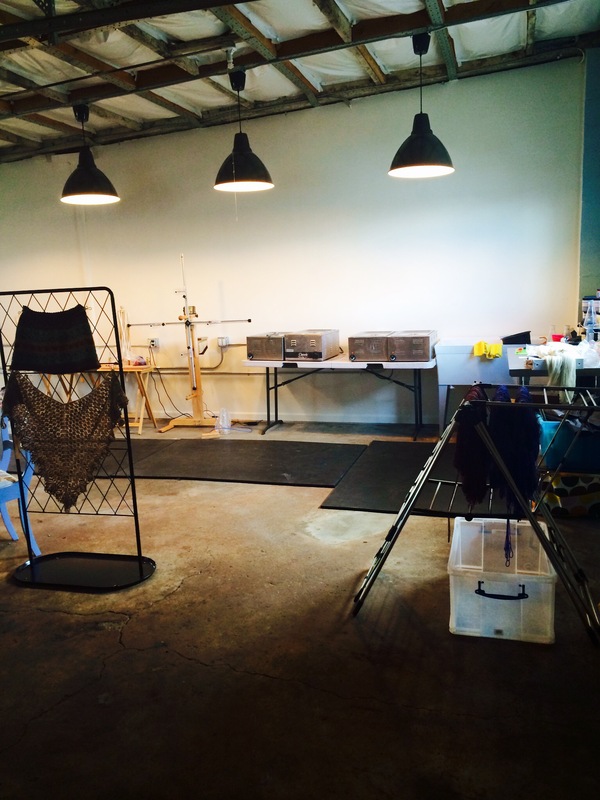 In 2016 I moved the dye studio into a warehouse in downtown Olympia and with the help of my husband Craig scaled up production. The rest of the crew came on board throughout the last three and a half years. I am so lucky to have these terrific ladies on my team! 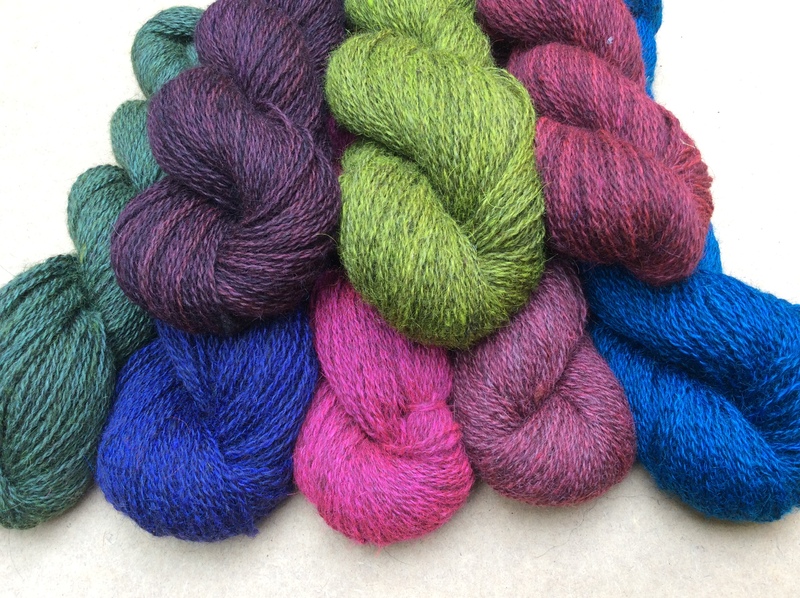 Madison Wallace was already an accomplished spinner of yarn and dyer of roving when we met. 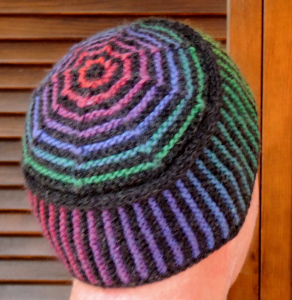 She is a founding member of “Spinners Anonymous”, a group of spinners who sell handspun yarn. (Come and see, we always have some on hand!) 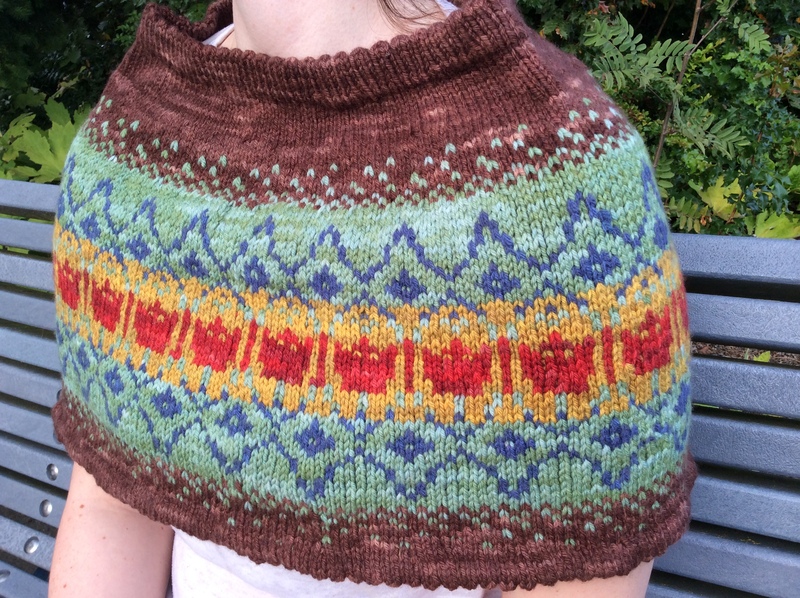 Maddy is enthusiastic and creative – and a talented knitter. 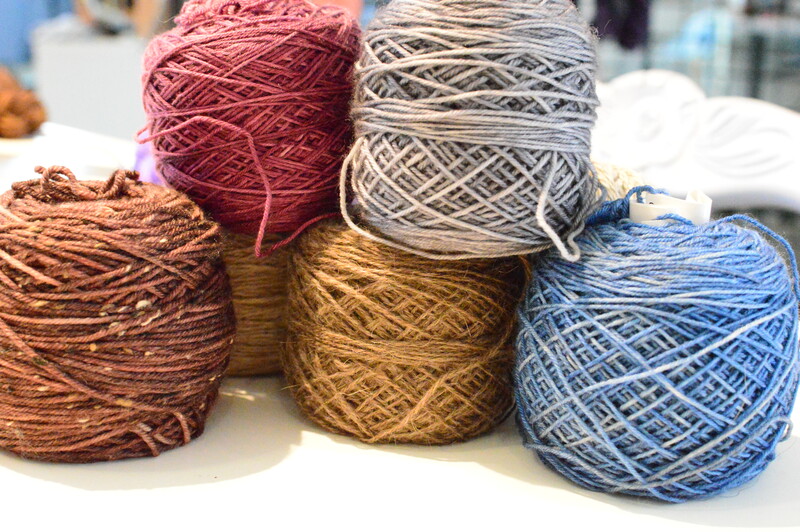 This is helpful to customers when they are looking for the perfect yarn for a project. 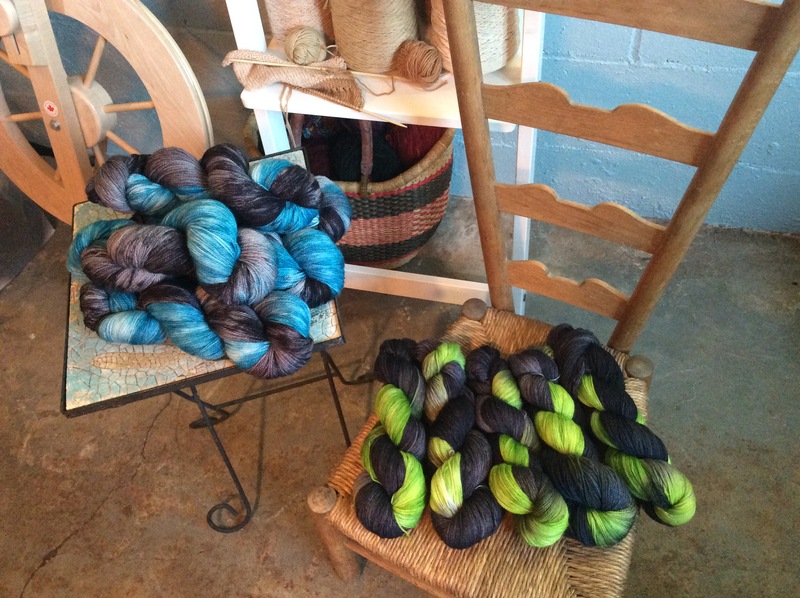 You will find Maddy at the dye pot or work table turning out our artisan dyed yarns. 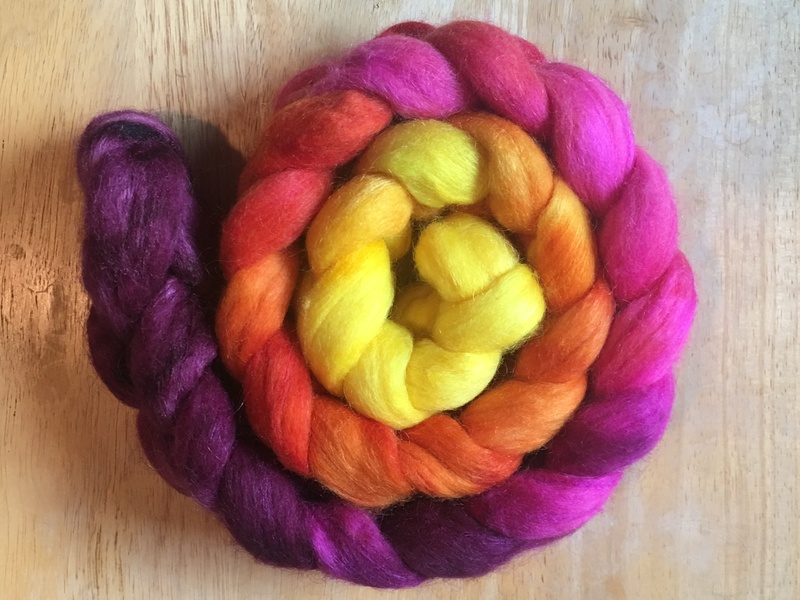 Maddy also develops colorways, produces fabulous roving braids and spins samples so you can see the amazing yarns you can achieve with our roving. 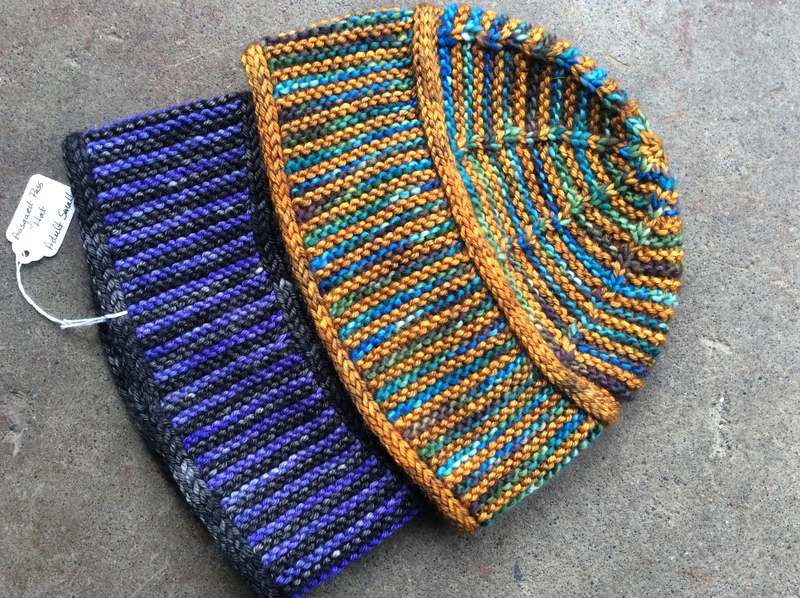 If you want to learn to use a drop spindle or wheel, Maddy teaches at the Studio too. Pam describes herself as a worker bee. 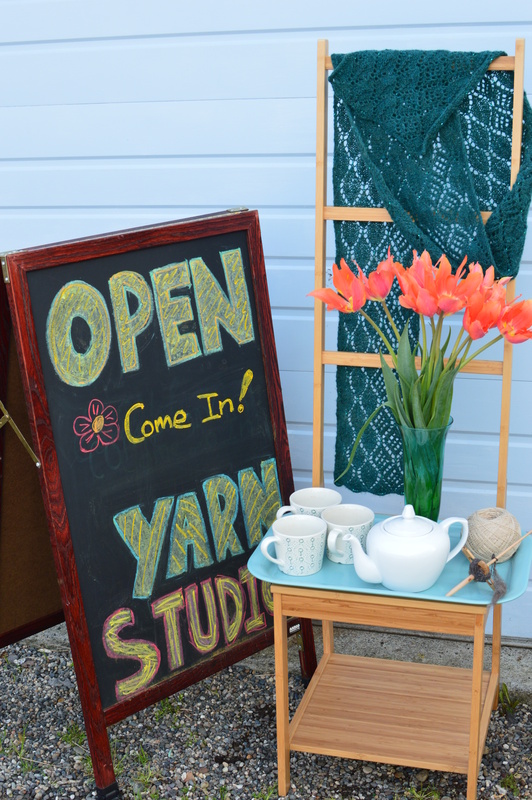 She takes care of customers when we are open to the public, dyes yarn and fiber, and helps us figure out methods for dyeing our plant-fiber yarns and roving. Pam is an innovator with an eye for new color combinations as well as clever ways to do things more efficiently. Her go-to knitting is cotton wash cloths but she also likes to knit colorful shawls. Pam is well-known in the Olympia community for volunteering at the door of local Traditions, a Fair Trade and music venue. We are fortunate she agreed after much persuasion to join us! Dawn’s crafting talents are amazing! You will see her excellent sewing skills in her “Bag Lady Bags” seen in our Studio and around local yarn stores in the northwest. She is always innovating a new design and we get to benefit from her ideas. Dawn calls herself the Yarn Wrangler. 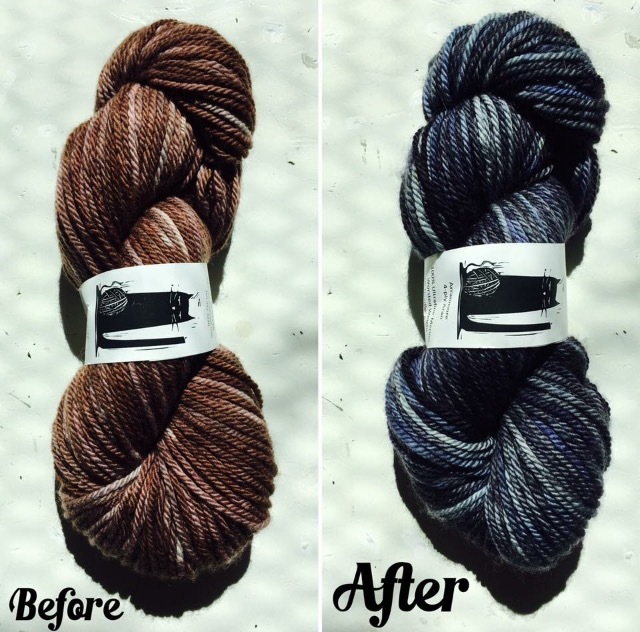 She manages the freshly dyed and dried yarns with great care and finesse by tidying them into neatly tied and labeled skeins. 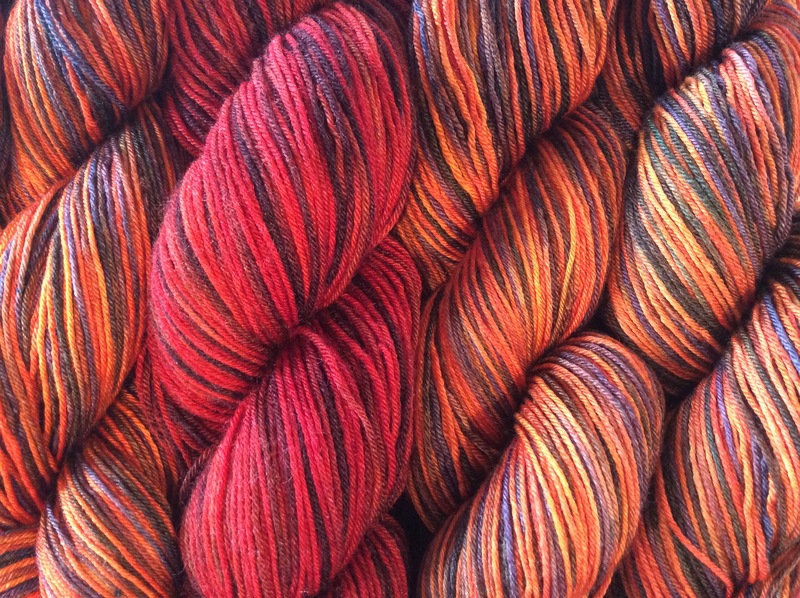 Dawn provides that final touch to our skeins that really shows them off. 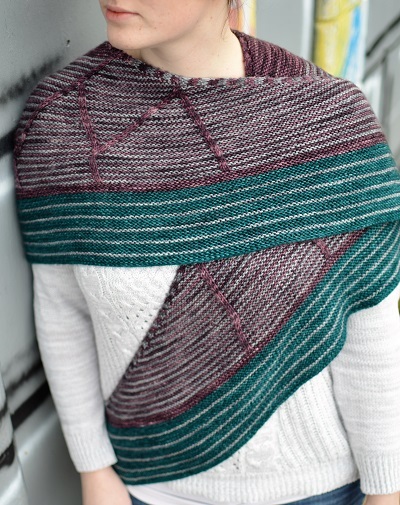 She also winds cones of yarn into skeins for dyeing, and handles every deadline with dedication and humor. 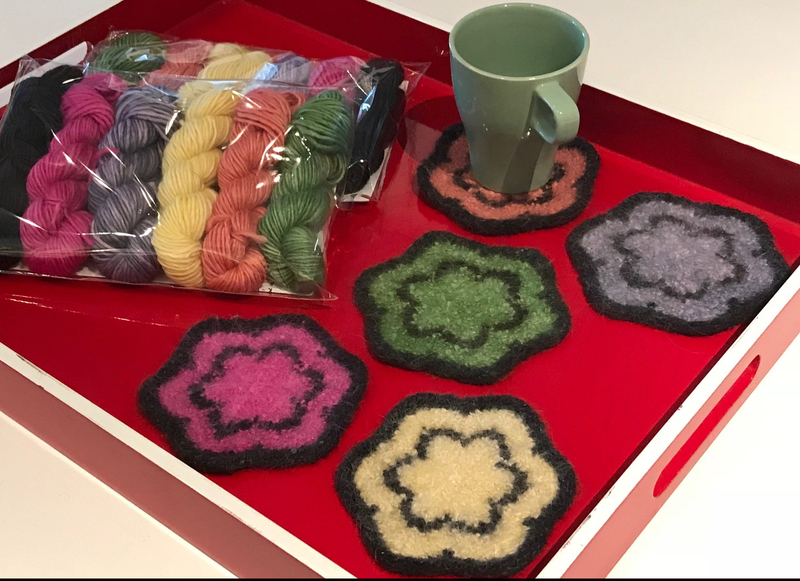 All of this and she is an amazing crocheter and spinner who spins her Mom’s Romney sheep’s wool! Leanna Saplan is one of the newest members of our team. 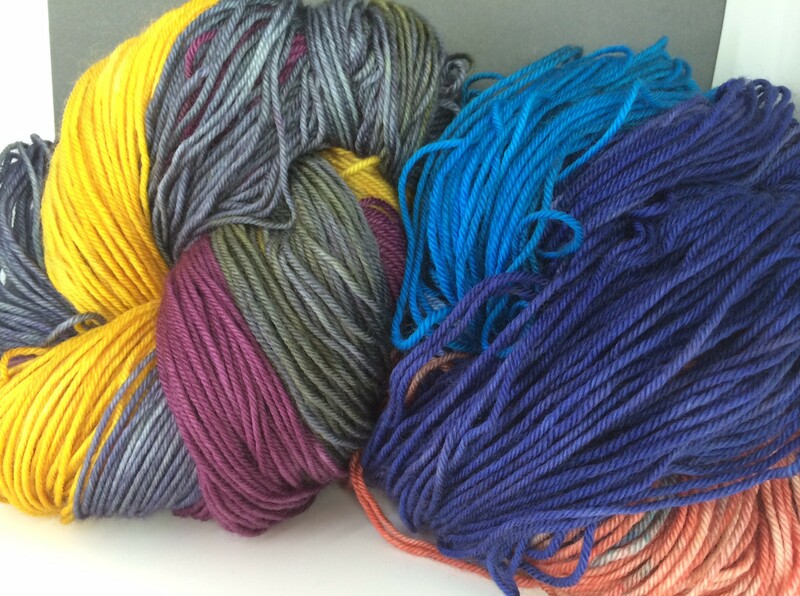 Leanna started as a customer and big fan of our yarn and fiber. A member of Spinners Anonymous with Maddy, she is a prolific knitter and spinner. 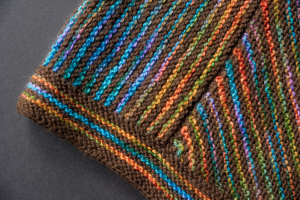 She also makes the most amazing knitting project journals, handcrafted from beautiful papers and bound by hand. Her meticulous attention to detail, organizational skills, and enthusiasm for the craft of artisan dyeing is valued and appreciated by everyone on the team! Look for Leanna as a co-instructor with Maddy for our spinning classes.Together they help new spinners get a great start. Heather Williams is currently a hard-working student at Central Washington University. 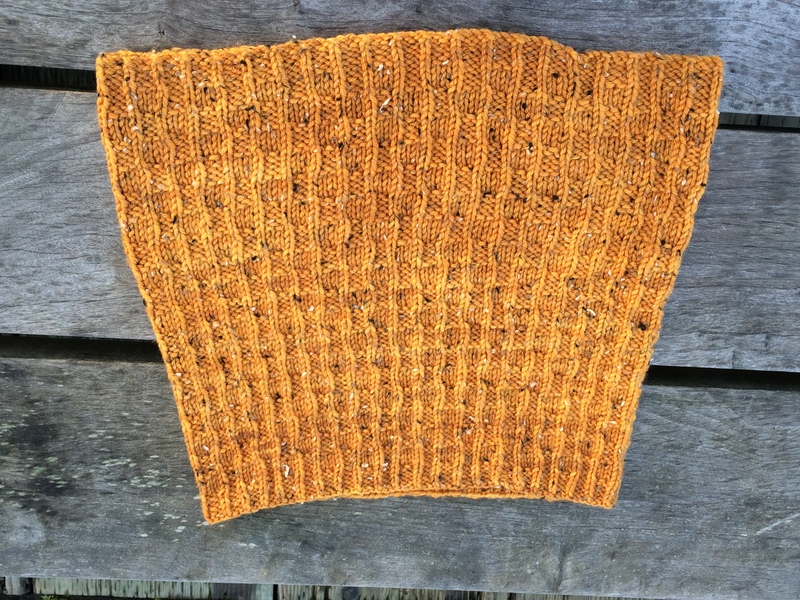 Heather started working for me when I worked out of my house – she wrangled the yarn into beautiful skeins on the skein-winder in those days. Now when she is in town she wrestles with our stash of raw fleece, preparing it to go to the mill for scouring, carding, and spinning. Her upbeat attitude always lifts us up and makes this labor-intensive task much more fun. Heather likes to crochet, listen to alternative music, and is really a wonderful addition to our crew. 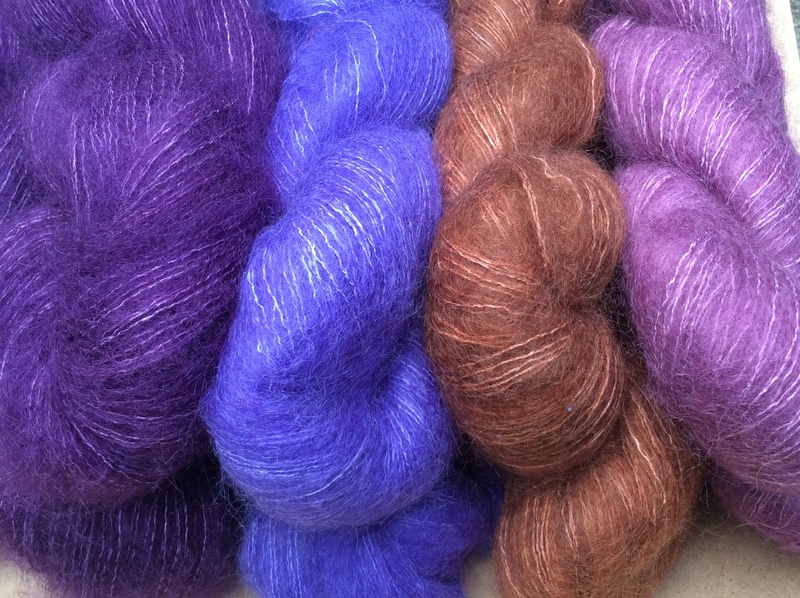 Next blog we will introduce our yarn and fiber as well as share our photo gallery!